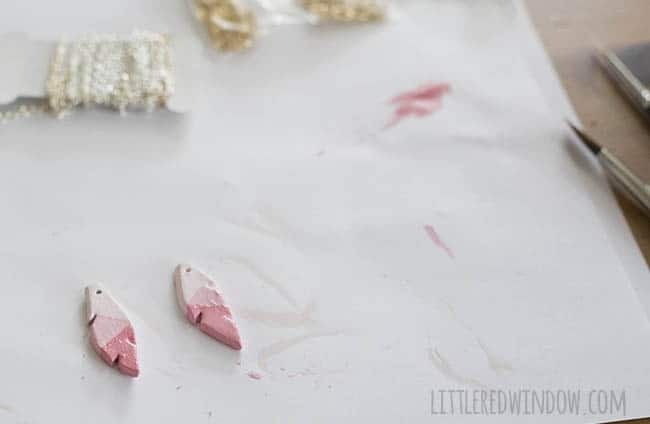 Make some adorable, lightweight feather air dry clay earrings in just a few steps! 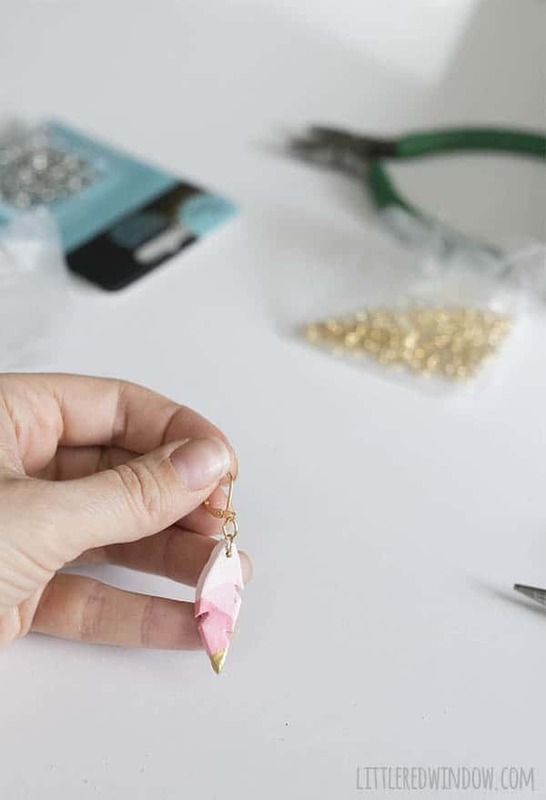 You guys, I rarely make jewelry because it never lives up to the vision I have in my head before I start. Maybe it’s just not my forte. 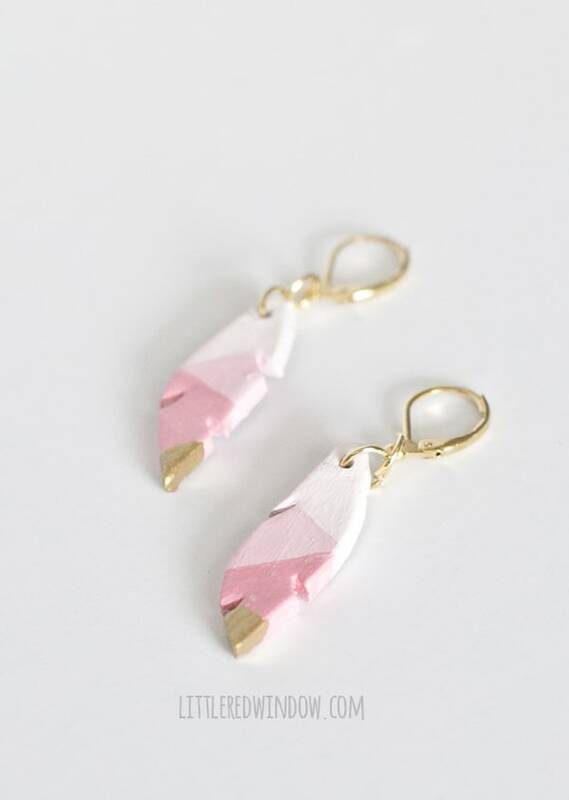 But these earrings turned out EXACTLY how I wanted them to and I’m in love! They seriously took only a few minutes to make and they’re nice and lightweight. Perfect. And if you’re wondering, since they’re made of clay, will they break? 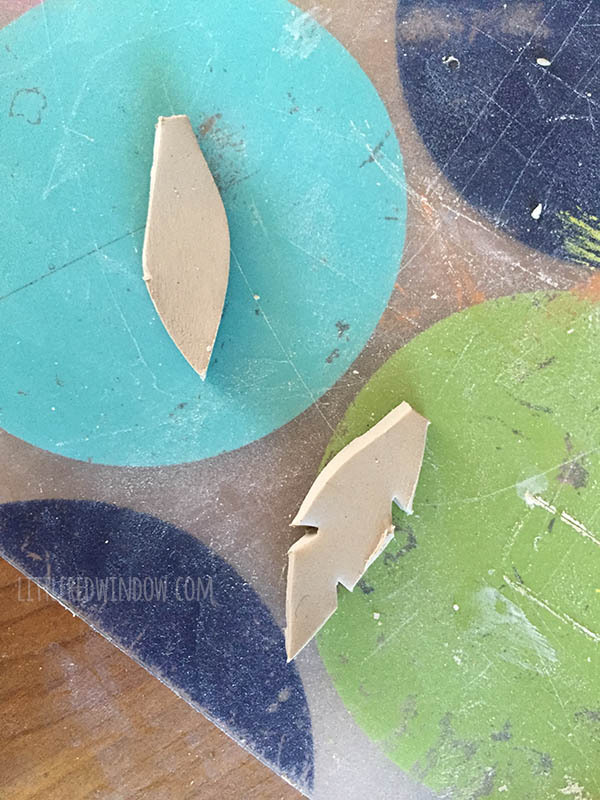 Well, air dry clay is different than kiln fired clay, it’s not so brittle. 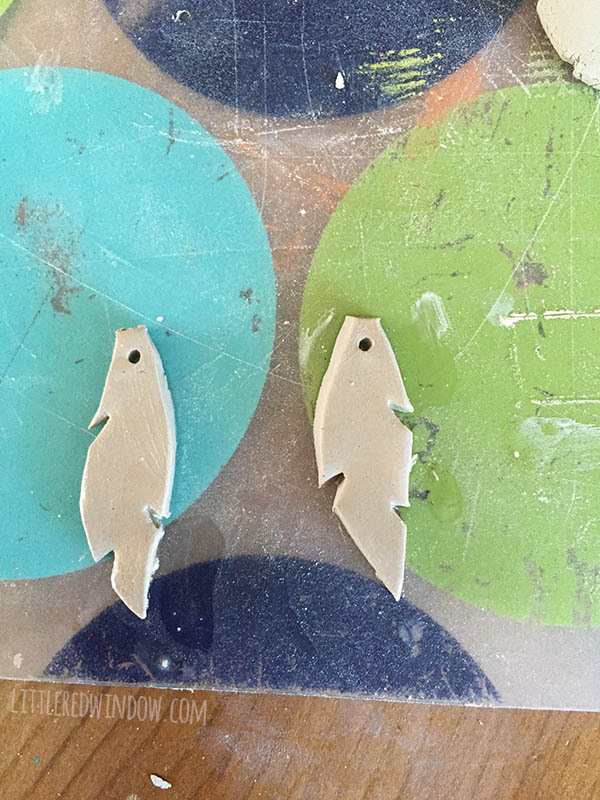 And since these air dry clay earrings are relatively small, they’re not going to snap in half during normal wear. Maybe if you dropped them 5 five feet onto a tile floor, but I think otherwise, they’re pretty sturdy. 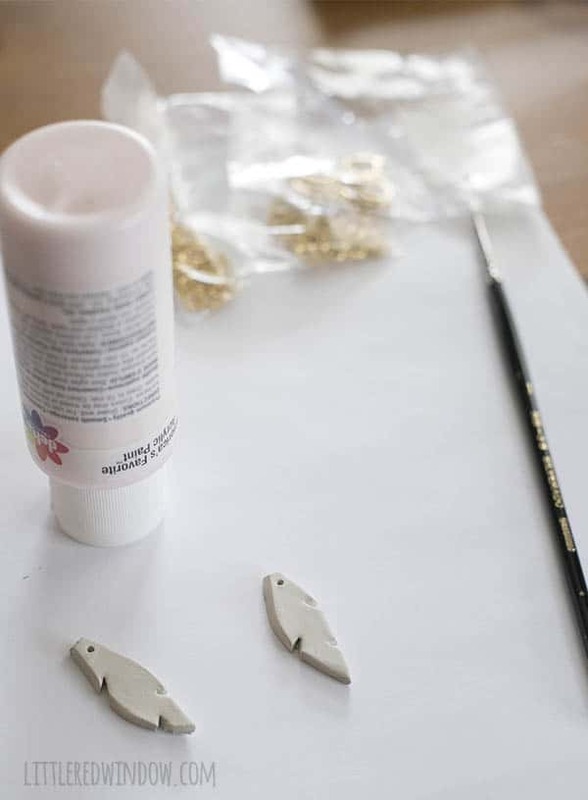 Anyway, today I’ll show you how to make your own pair of air dry clay earrings. If you make some, share them with me, I love seeing what you guys make too! 1 . Roll your clay out to about 1/8″ thick. 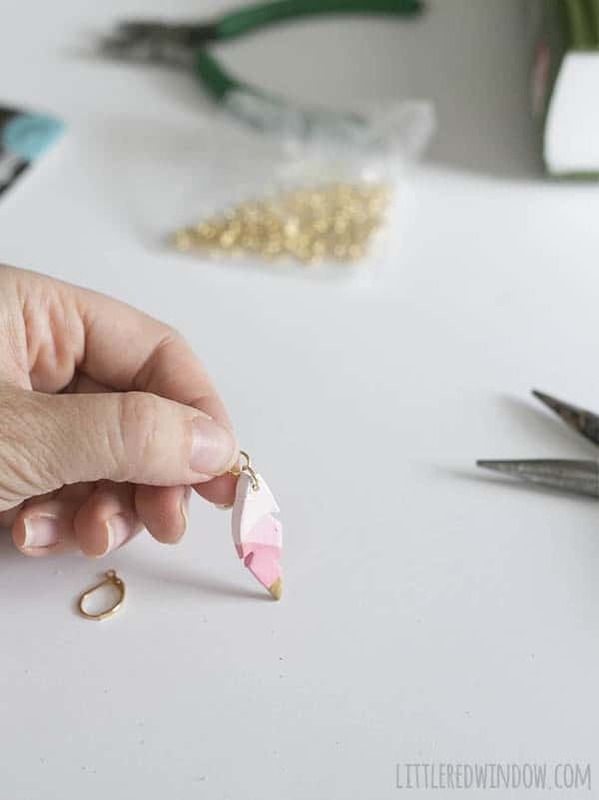 Use a craft knife or clay tool to cut long teardrop shapes. Then cut little notches out of the sides as shown. Smooth any rough edges with a finger dipped in water. 2. Use a toothpick or clay tool to poke a hole in the top of each feather. 3. Let your earrings dry overnight. When dry, go ahead and paint them however you’d like. I gave mine a kind of geometric ombre pattern with gold tips. 4. When the paint is dry, use your pliers to open a jump ring by twisting it. Then put it through the hole in the earring. Then close the jump ring by twisting it back. 5. 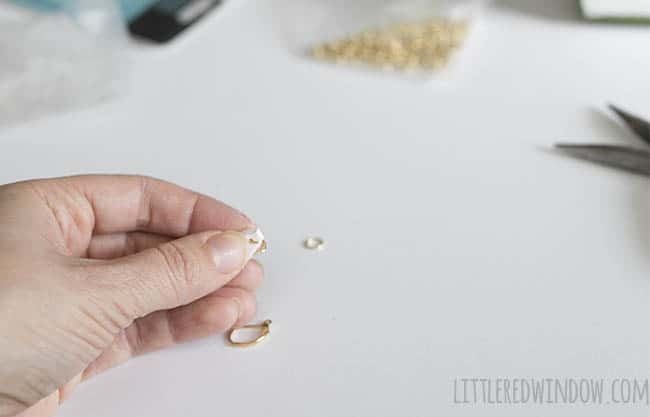 Then open a second jump ring and attach it to the first and add an earring hook. The second jump ring allows the earring to hang in the right direction when you wear them. And that’s it! 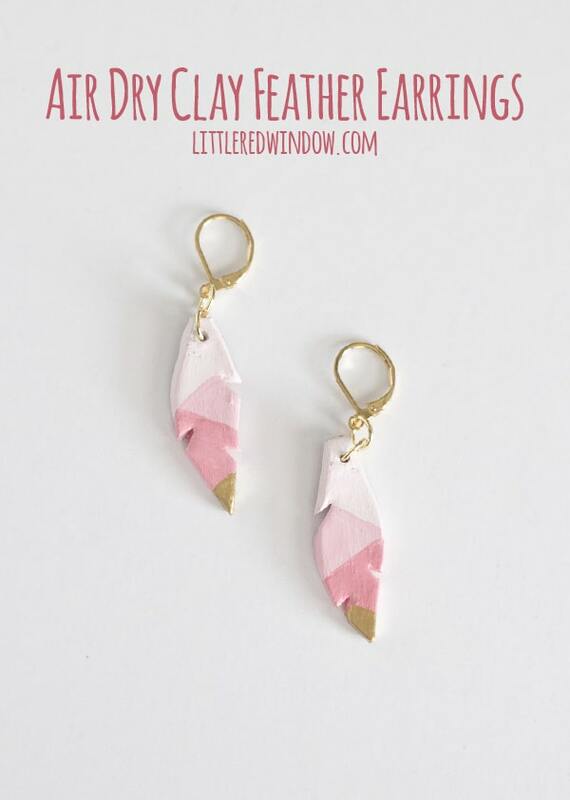 Your air dry clay earrings are ready to wear! Those are beautiful. I like them as is, for earrings, but also the gradient colors as inspiration for Stephen West’s Daybreak shawl. 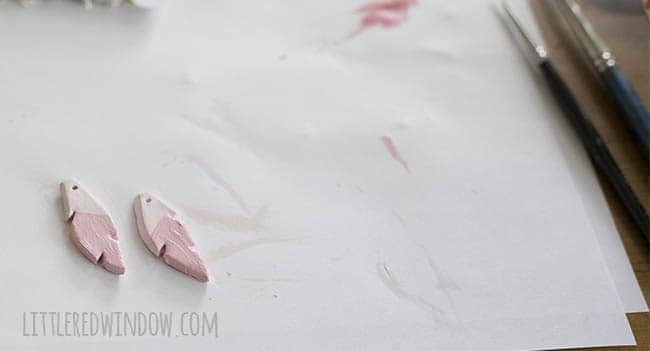 I was having trouble visualizing pink with light gray and white but just couldn’t see it. 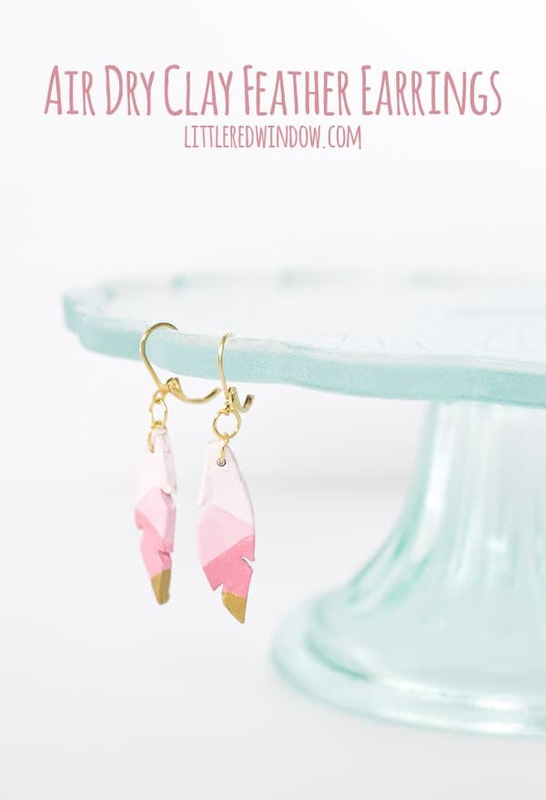 Gradients using pink might be an option! I’ll have to see what’s in my stash. Thanks, Cassie, for the “crossover” inspiration. Kathy B.